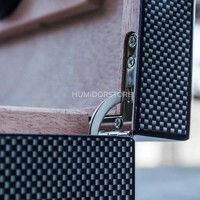 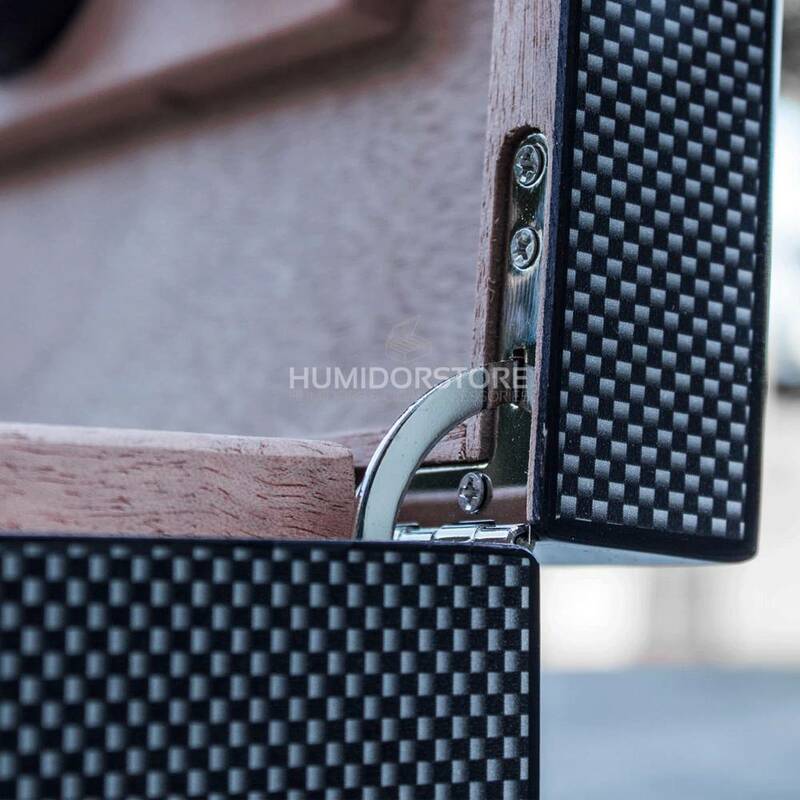 Humidor Bookwill - Carbon is a gorgeous, handmade humidor that has the Spanish cedar wood interior and a carbon exterior. 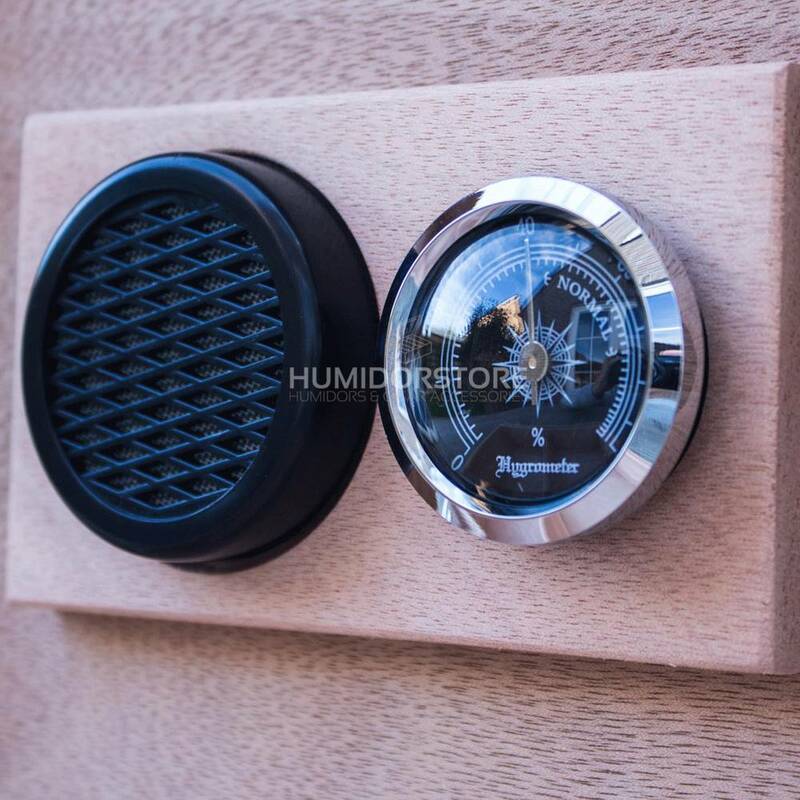 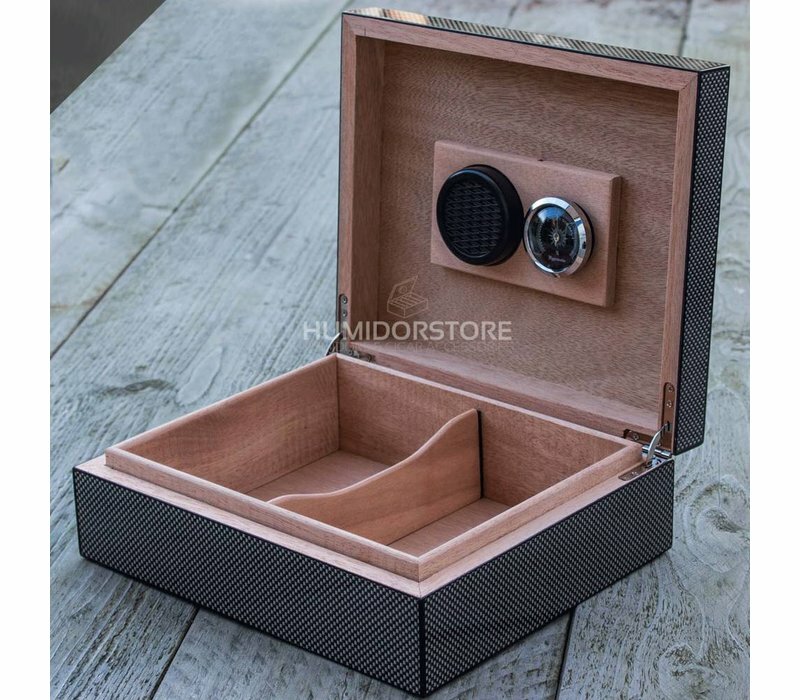 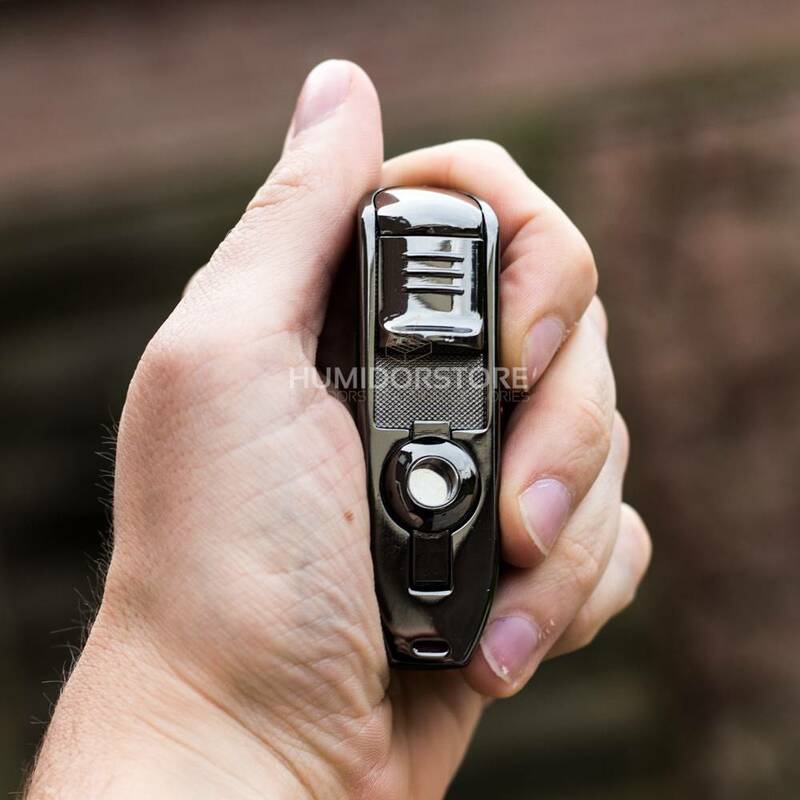 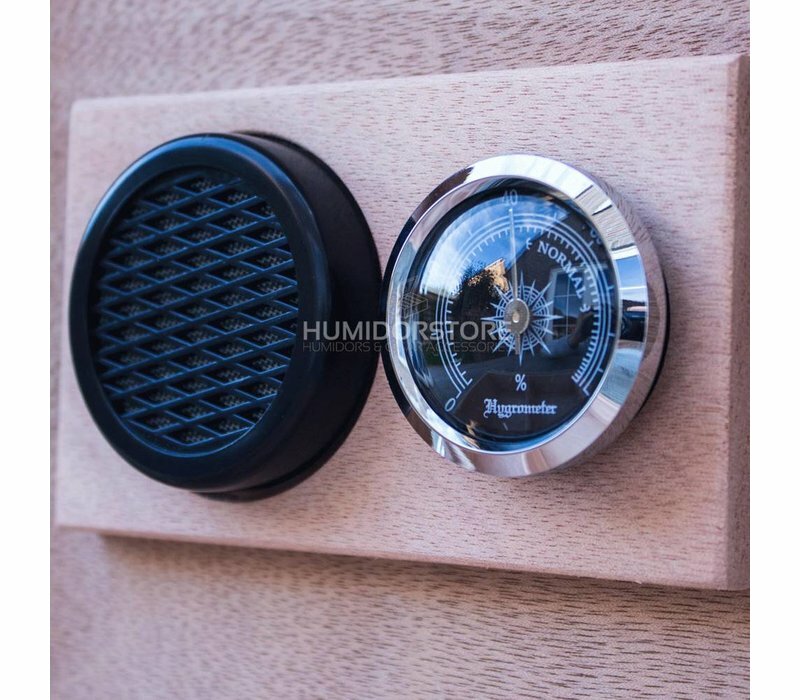 This humidor has a very modern appearance and it also includes a humidifier and hygrometer! 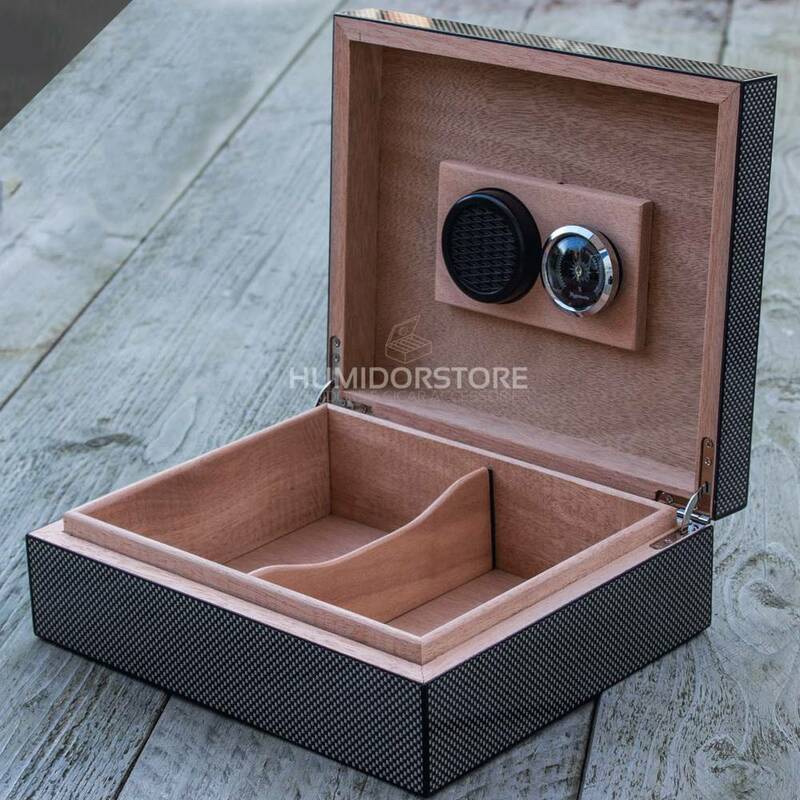 Humidor Bookwill Carbon is a gorgeous, handmade humidor with a Spanish cedar wood interior and a Carbon exterior. 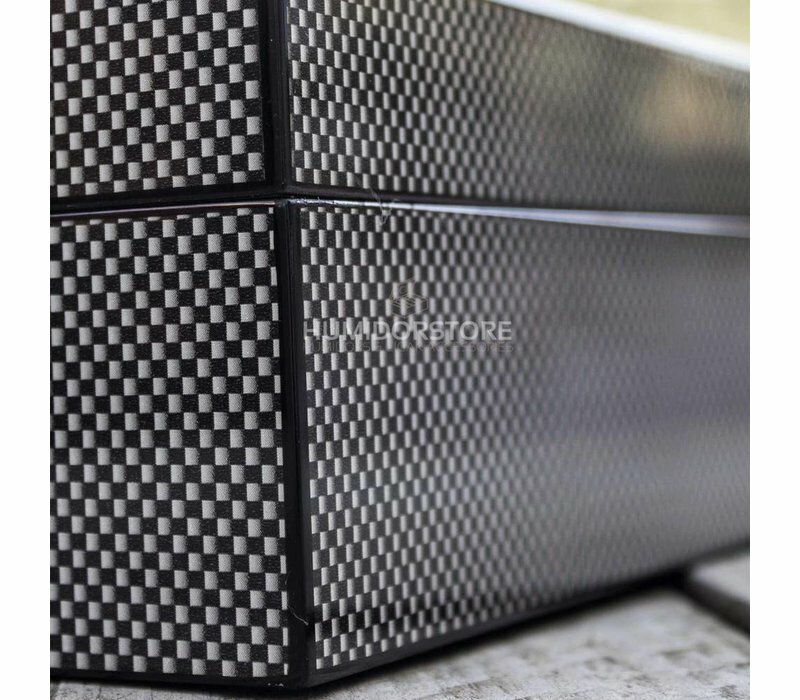 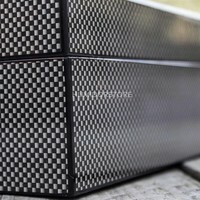 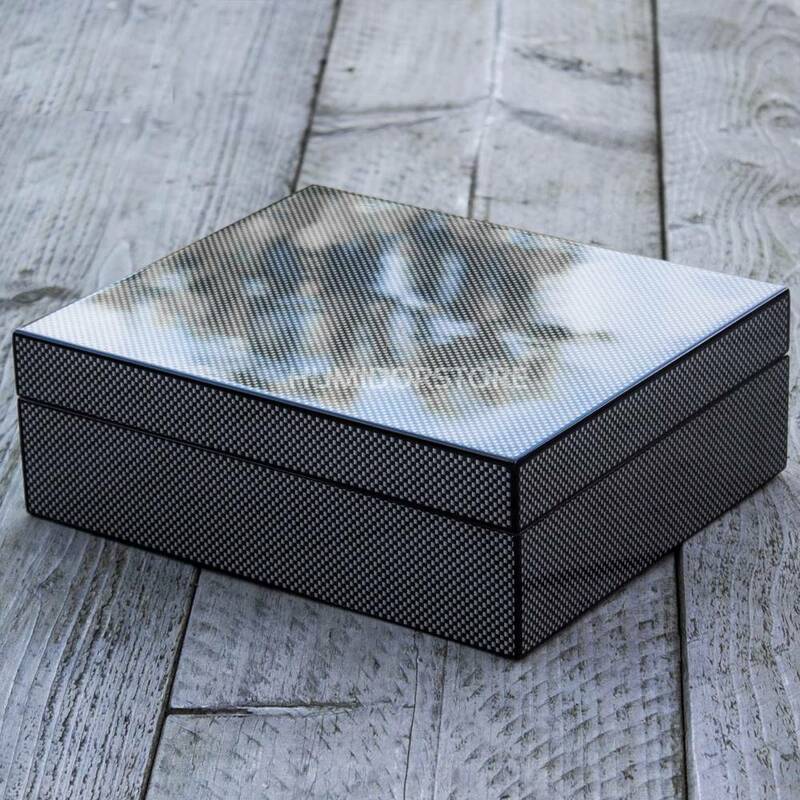 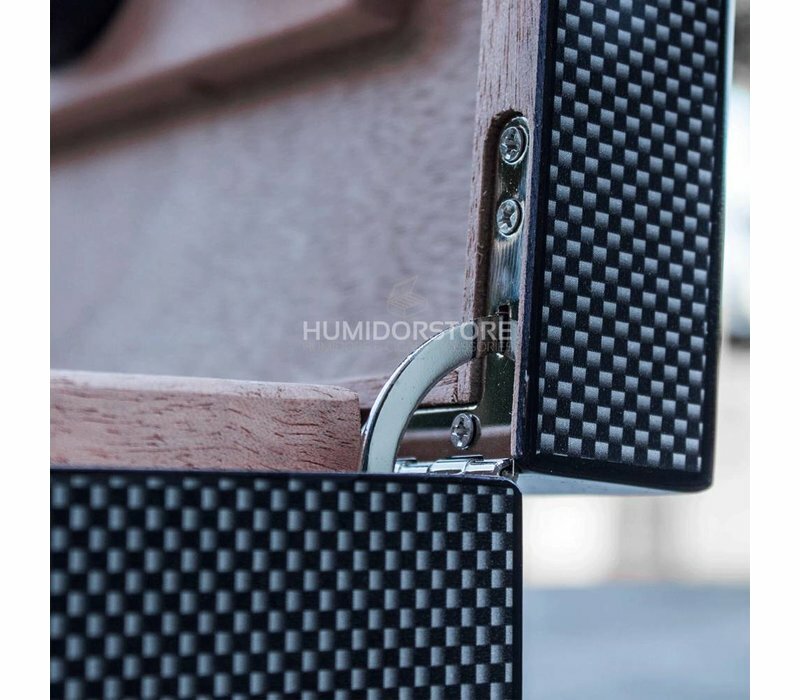 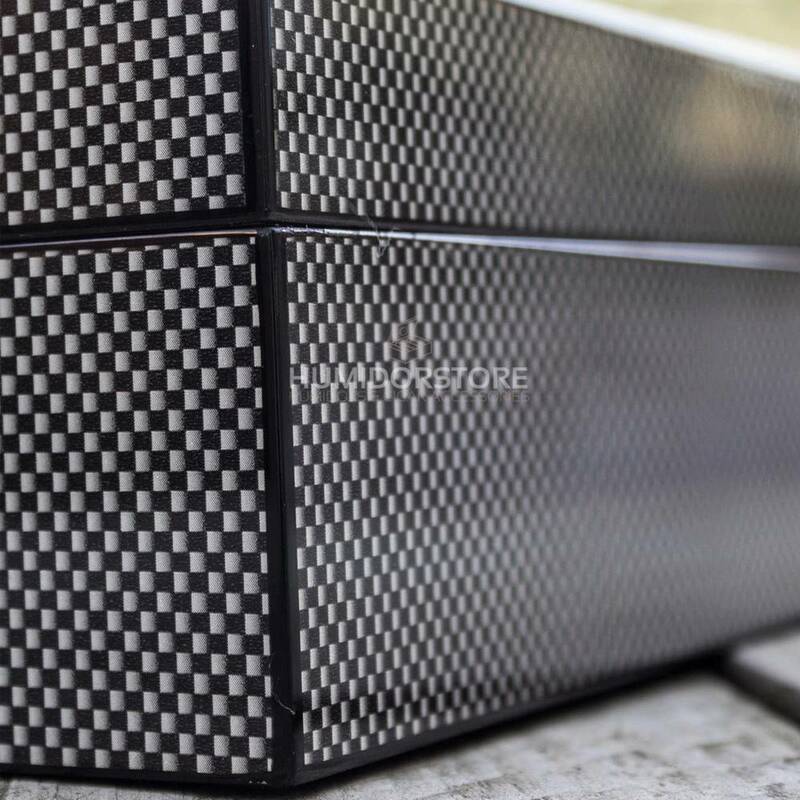 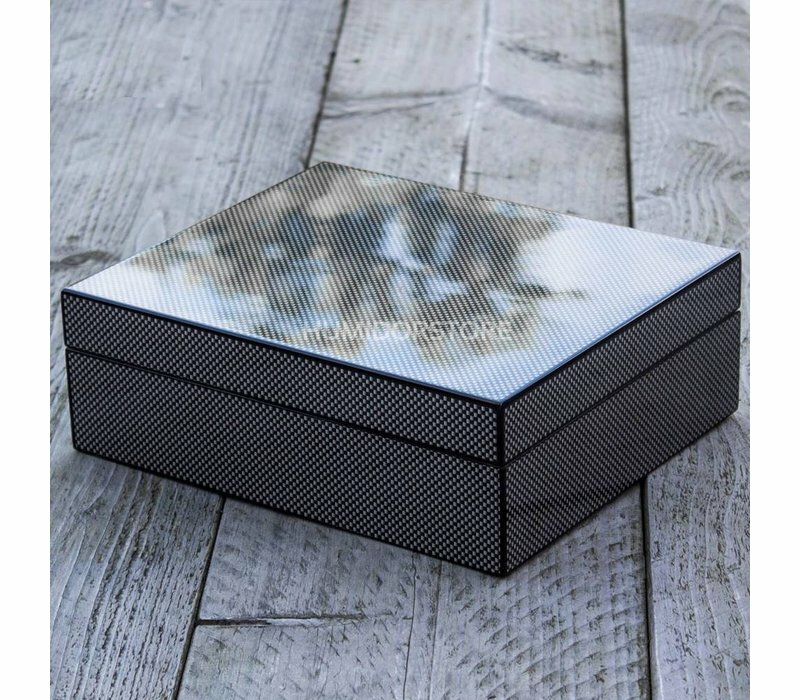 The Humidor Bookwill - Carbon is a true jewelry to each living room or office and has, because of its Carbon exterior, a very modern appearance! This humidor will be delivered completely with a humidifier and hygrometer. 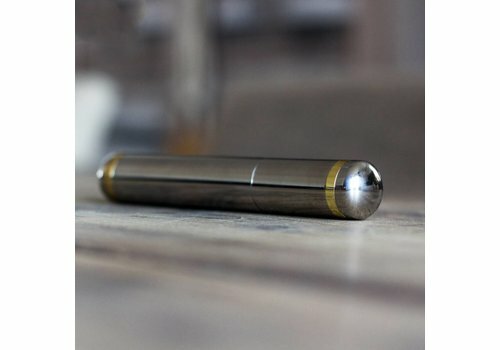 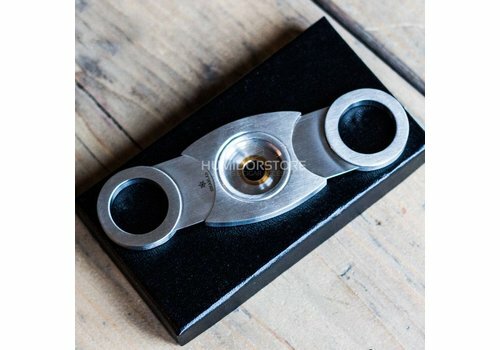 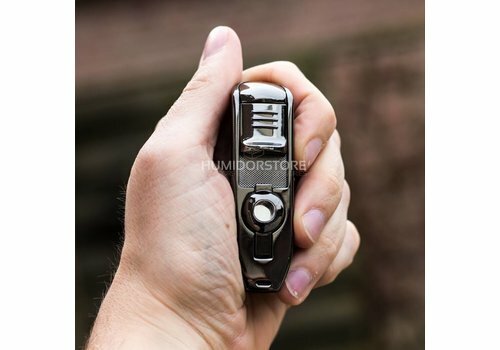 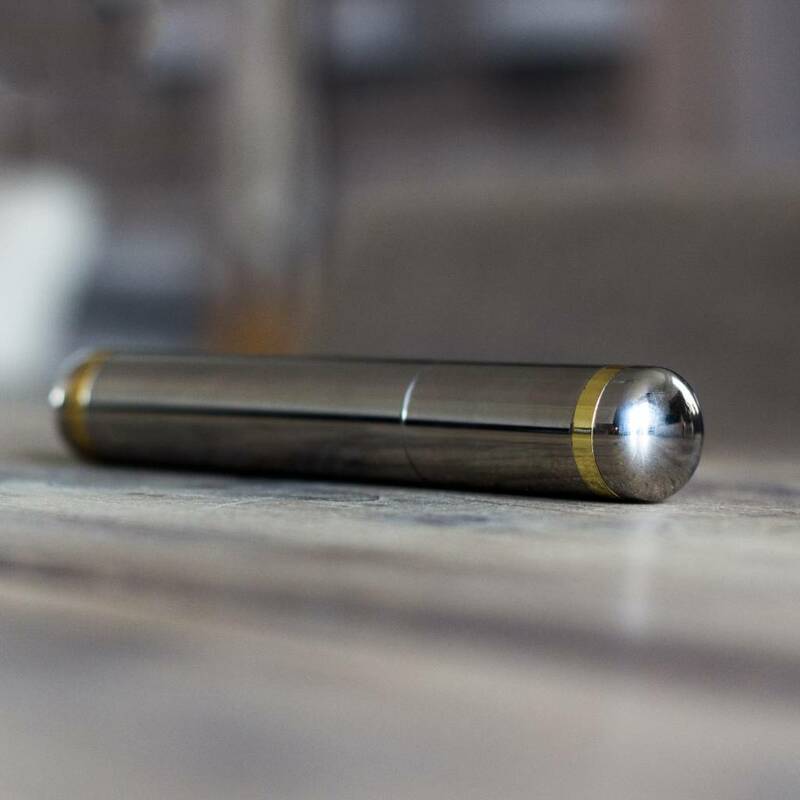 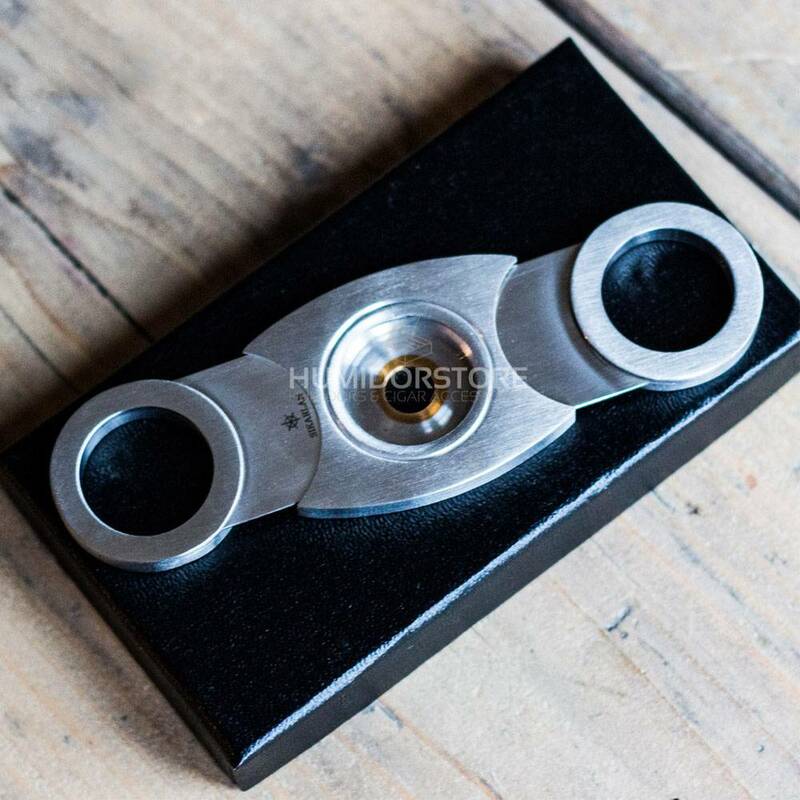 The model is perfectly balanced through of its faded hinges, which will keep your precious cigars in a perfect condition!